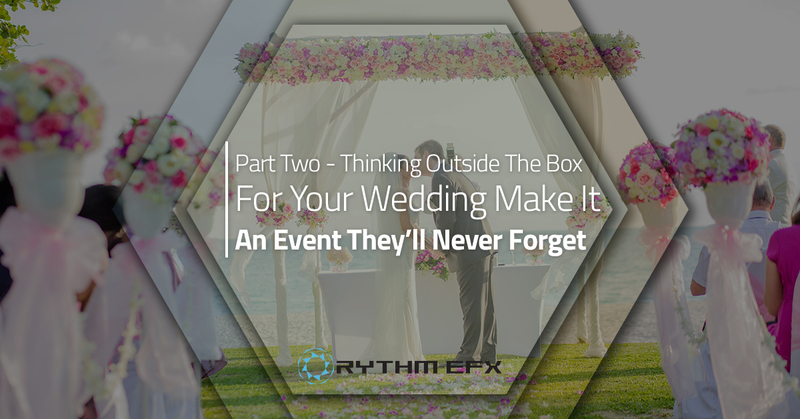 This is the second of a two-part series about thinking outside of the box for your wedding. If you want your big day to be one for the record books, keep reading. There are some special and unique wedding venues in Denver and along the Front Range. And, no matter which you choose, you can kick things up a notch with custom-designed props and sets. You may think that this kind of production work is just for theaters and rock bands. You’re wrong. The right props can be exactly what you need to make your wedding one of a kind. Imagine your initials up on the wall in giant, sequins-covered script. Or, surprise your new spouse with a one-of-a-kind sculpture that pays tribute to a favorite professional sports team, a special vacation memory, or a secret that only the two of your share. How about a custom, monogrammed dance floor created just for you, a custom gazebo or trellis, or beautiful, custom-sculpted tree that guests can leave notes on and that you’ll have in your home for years to come? When you’re working with the right special effects and event production company, your only limitation is your imagination. Big or small, splashy or understated, the right custom props will set the scene beautifully for your special day. Do the unexpected. Create a little shock and awe. Take people’s breath away. If you want something really special, make sure you’re working with an event team that knows how to make the most of your venue. Is there a pool? Are there a lot of trees? What’s unique about the space? You can use any element of your venue to make your wedding or reception extra special. How do you feel about walking on water? Fun is the theme of the day, so why not help everyone feel like a kid again. Create a bar filled with all of the candy flavors and brands you loved as a kid, and survey of some of your special guests to make sure you’ve got their favorites in the mix. Rethink your food choices, and instead of an expensive and fussy dinner, set up make your own grilled cheese, and make your own ice cream sundae stations. Surprise everyone with some special entertainment, like acrobats or salsa dancers. Finally, nothing says fun like bubbles and confetti. You can create magic with professionally curated bubble effects and confetti blasters. We can’t get enough of the bubbles. They take us right back to our childhood. If you really want to go big, set up an LED video wall. You can play a slideshow, share photos that your guests are taking in the photo booth, or display just about any messages or images you want. A whole wall of video is certain to surprise and delight your guests. Well, how’d we do? Are there some ideas here that you hadn’t considered for your big day. If you want to explore more out-of-the-box ideas for your wedding in the Denver or Front Range area, give us a call. We’d love to work with you to make your big day better than you could have imagined.